The cover art for Madonna's second album, "Like A Virgin", is one of the most iconic images of the last 25 years. Would it have worked as well as a colour image? Judge it by comparing the photo above. You have to see this photo too. It's featured on a great American blog called Olga Loves Yuri. My Fizzy Pop continues to be one of the best sources of new pop on the net and one song I came across on it recently was "Downtown Boys". This is the newest song by Danish pop duo Infernal who are still best known for their dance pop song "From Paris To Berlin". "Downtown Boys" has already been number one in the Danish pop charts. The song is the first single from their new album "Electric Cabaret" which is released on August 11th. Last month, fellow blog-master, Enda featured the Freemasons remix of Kylie's new single The One on his website. The One is a gorgeous piece of remix heaven. What I only read recently is that The One was originally a song by Laid & Emma Holmgren and was, back in 2006, called I'm the One. Was it any good? Have a listen! 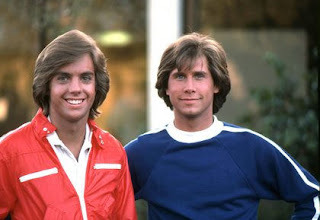 Growing up in the 1970's, my two big TV star crushes were Lee Majors as Steve Austin in "The Six Million Dollar Man" and Parker Stevenson as Frank in "The Hardy Boys". While Shaun Cassidy as Joe was the biggest teen idol, Frank Hardy and Steve Austin and the actors who played them represented, for me, all that was perfect about American TV. As a child if I wasn't watching TV I would be reading and it would usually be my Doctor Who books with the Tom Baker covers or the many Hardy Boys novels by Franklin W. Dixon just like the one below. 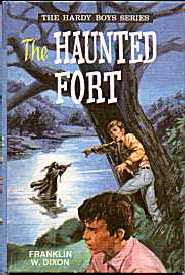 The book above, "The Haunted Fort", is the exact same edition that I got out of my library many, many years ago. My other favourite TV shows growing up were "Space 1999", "Buck Rogers in the 25th Century" "Battlestar Galactica", "The Brady Bunch" and "Charlie's Angels". "Charlie's Angels" and "The Hardy Boys" were pure escapist, entertaining TV. I hated the movie adaptations of "Charlie's Angels" and I can just imagine how awful the movie version of "The Hardy Boys" would be like. There have been rumours that Tom Cruise and Ben Stiller are to play Frank and Joe in a movie for Twentieth Century Fox called "The Hardy Men". Especially with Ben Stiller involved you can only imagine that this will be played for laughs. 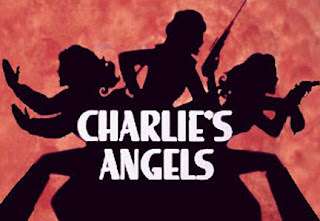 The original trio of "Charlie's Angels", Kelly, Sabrina and Jill were the best. While Kate Jackson as Sabrina Duncan and Farrah Fawcett-Majors as Jill Munroe were both gorgeous and fab, Jaclyn Smith as Kelly Garrett was always my favourite Angel. Recently I came across this great TV clip taken from "The Hardy Boys Mysteries", where Frank and Joe were investigating a case in Hollywood and Frank walks onto the "Charlie's Angels" set. TV worlds collide and the result is truly memorable! 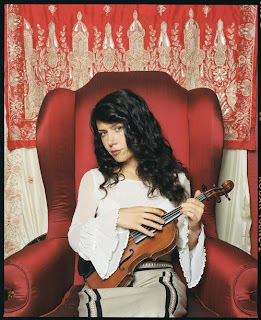 When Lili Haydn was a child her parents Lotus Weinstock and David Jove allowed her pick her to own name. For a while she choose Helicopter. How could you not like someone like that. Lili was born on Christmas Day 1969 and is an actress, composer and violinist. She is one of the many music artists who is currently performing on the True Colors 2008 tour. Her website is lovely and is full of writings and good causes. Her new album is called Places Between Places. One song that I like very much from that album is Strawberry Street and here it is. Cyndi Lauper plays Dublin's Tripod music venue on Saturday October 18th. I cannot remember Cyndi ever playing a show in Dublin before and of all the concerts I will see in 2008, this is the one I am most looking forward to. A big thank you to David for telling me about the concert, I know he will see her in London and I hope he loves the show. When I was growing up, my favourite music artist was of course Madonna, but for every Madonna song and video there was a Cyndi Lauper song and video which were equally as good. So many times Cyndi's image and music was compared to Madonna which I always felt wasn't fair. Pop music, good or bad, is always neatly put into boxes by music critics but each artist is special to their fans for individual reasons. I never thought I would see Cyndi in concert, I was going to go to England to see her and to think that she is playing a small venue which she will be perfect in, on an Autumn night is still like a dream to me. I love Cyndi because her heart has always been in the right place, she is fun and kooky and also serious and honest when she needs to be. There are so many Cyndi songs that I love. I am one of those people that never really liked "Girls Just Wanna Have Fun" but almost every other Cyndi song is a pop classic. I grew up watching the video for "Time After Time" on the Irish Sunday afternoon show MT:USA, a show my fellow Irish bloggers will remember. I thought the "Time After Time" video was one of the most beautiful and saddest pieces of pop art I had seen then and still do now. "She's so Unusual" is still one of those perfect pop albums. It was released in 1983, 7 songs were released as singles and in 1984 Cyndi Lauper would win a Grammy for Best New Artist, she had been nominated for 5 that year. "All Through the Night" is another song that 25 years later is still timeless as is her cover version of Prince's "When You Were Mine". 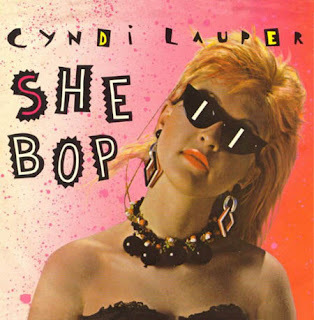 My favourite song on that album was "She Bop". Most of Cyndi's videos can only be viewed by going into Youtube and keyword searching. All of these are of great quality both in sound and image. "She Bop" is a video of it's time, something you could put into a space capsule in years to come. Throughout the years other Cyndi songs that I loved were "Change of Heart" which featured backing vocals from The Bangles, "Sally Pigeon's", "Heading West", "Sisters of Avalon", "Please Don't Let me be Misunderstood" and "Same Ol' Story" from her new album "Bring Ya To The Brink". The video below is not one of Cyndi's many singles but is from a Tribute to John Lennon, which took place in Central Park on October 2nd 2001. I have never seen it before this week but when you look at the date, it was just 3 weeks after 911. Listen to the way that Cyndi introduces the song and then the song itself. In 2007 Cyndi was the organiser of the "True Colors" tour where various music artists toured to raise awareness and support the Human Rights Campaign and for groups that benefit GLBT (Gay, lesbian, bisexual, transgender) groups and the Matthew Shepard Foundation and to educate people about the reality of hate crimes. This tour is credited as helping the Matthew Shepard Act to have come into law. The "True Colours" 2008 tour is presently playing in cities across America. It began on 31st May and continues until July 5th, playing in 24 cities. The artists performing at most or some of the venues this year include; The B-52's, Regina Spektor, Deborah Cox, Joan Jett & The Blackhearts, Rosie O'Donnell, Andy Bell and Tegan & Sara. The True Colors tour website is here. Below is Cyndi singing "True Colors" on the American TV show "The View" on March 19th 2007, this was before the first "True Colors" tour even started. She is joined by Rosie O'Donnell at the end of the performance.